After the flu season there’s the lice season… it’s getting warmer and all sorts of animals are waking up from hibernation and multiplying. And if you or your child ever has had lice, you know that these little things are banging good at it (no pun intended 🙂 ). A few of my friends whose children go to school or kindergarten have already posted some teary notes about it. 8 oz spray bottle, filled up with filtered water. Shake before application. Apply a few sprays after washing. 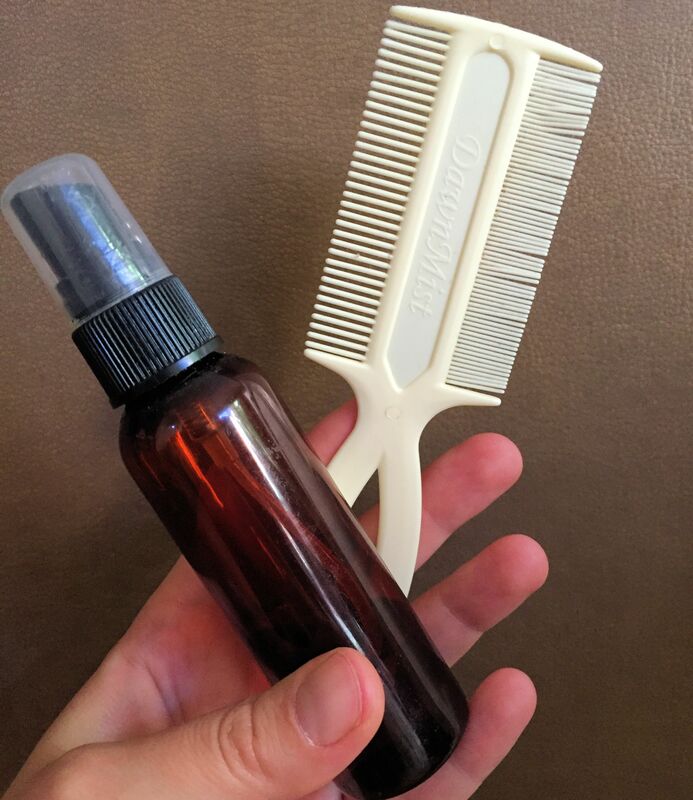 Lice are deterred by the smell, your kids will on the other hand love it. Massage the mixture into the hair and scalp before bedtime (nap might be too short for this to work completely, but do it if you must at first sighting of lice). Wrap head in towel and leave it on overnight or as long as possible during the day. Repeat until you are sure there is no more sign on the little freeloaders. Lice are killed by the essential oils and the carrier oil will suffocate the eggs, but all ingredients are excellent as a scalp nourishing mask. 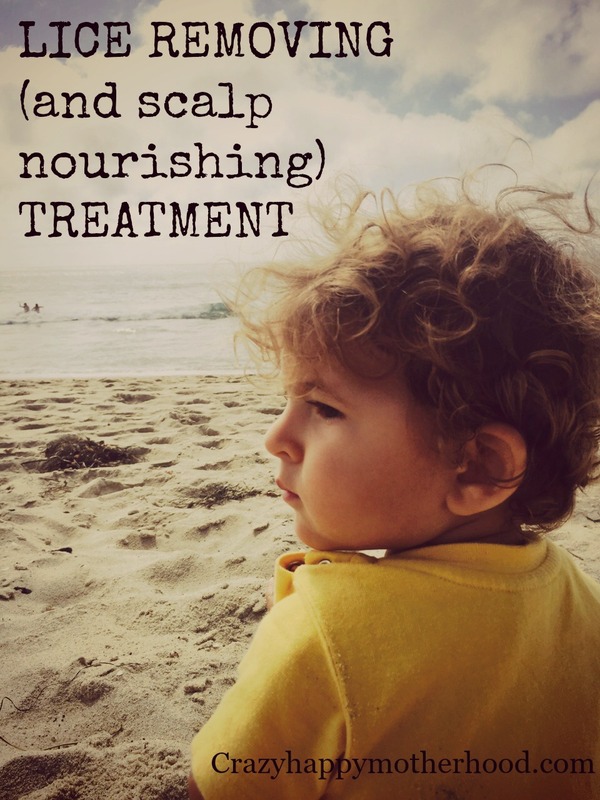 Keep brushing lice out daily and you will get rid of them naturally knowing your child’s skin will not suffer (or your own, lice are actually quite non-judgmental when it comes to age). And where to get essential oils? I prefer and recommend Young Living Essential Oils, especially around children, because of their wonderful guarantees. You can get the oils here. Oh and one more thing. Don’t reuse that towel…. (and treat your bedding with some heat in your dryer).